Roberts was born in Lissangle, Ireland. As a young man working for the merchant marine, he met two Wellingtonians, Donald and Malcolm McCallum. On leaving the marine, Roberts moved to Wellington to board with Annie, the McCallums’ mother. In New Zealand ‘Big Jim’ Roberts worked a number of labouring jobs, including for the Wellington Gas Company. It was here that his involvement in trade unionism began. In 1912 Roberts was elected to the executive of the Wellington branch of the New Zealand Socialist Party. In the same year he was fired from the gasworks for his union activism. In 1914 Jim Roberts became employed on the Wellington wharves, and joined the Wellington Waterside Workers’ Union. In 1915 he became secretary of the New Zealand Waterside Workers’ Federation, remaining in the position until 1941. During his tenure, he toiled to improve the generally harsh work conditions on the waterfront, and his vast knowledge of industrial law proved valuable in the Court of Arbitration. From 1920 to 1936 Roberts acted as the secretary of the newly-established New Zealand Alliance of Labour. 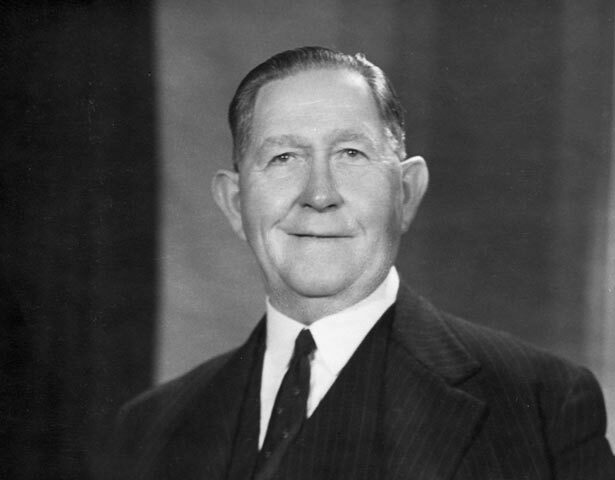 In 1925 he was elected to the executive of the New Zealand Labour Party, and was president from 1937 until 1950. In 1940 the government instigated the Waterfront Control Commission to administer the wharves and determine conditions of work. Prime Minister Peter Fraser put pressure on Roberts to accept a position on the commission, to which he eventually agreed, despite believing that it would damage his union career. In 1941 he was forced to choose the commission over the union. Partly as a reward for his service on the Waterfront Control Commission, Roberts was appointed to the Legislative Council in 1947; he served until its abolition in 1950. He also competed for the mayoralty of Wellington in 1944, but was unsuccessful. He did serve on the city council from 1950 to 1959. While Roberts was unable to achieve his wider goals, including workers' control of the industry and the creation of 'One Big Union', nevertheless, his legacy is one of principled pragmatism and honest practice, and his commitment to the cause of working people remained undimmed throughout his life.